What an incredible opportunity for real estate agents. With more than 80 percent of internet users checking Facebook on a daily basis, the social media giant is an agent’s most approachable, affordable, and, yes, fun method of marketing. 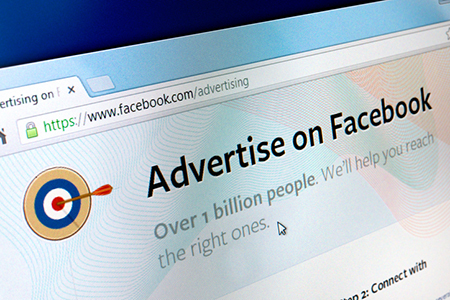 Here’s how you can easily use Facebook ads to expand your real estate sphere of influence. Tip 1: Target the right audience. Creating a custom audience on Facebook is incredibly easy and one of the most powerful social advertising tools around. In just a few minutes, you can create an ad, select a target audience, and have your message delivered to the exact group you want to reach. First, assign a Lifetime Value (LTV) to each contact on your “sphere of influence” list—a 1-5 value denoting what that customer has brought to your business (i.e., a transaction has more value than one that has done nothing). Facebook will weigh your contacts according to the LTV, getting your message in front of new people with similar characteristics to your highest value contacts. Tip 2: Keep your form simple. Avoid overwhelming audiences by asking too many questions on your form. Irrelevant questions may lead to frustration, prompting the person to abandon the effort before completion. Try to limit the options to three or four, where the viewer can choose options. Tip 3: Automate when possible. Imagine the power of a lead system that would automatically add your Facebook leads as new contacts in Salesforce, or as new entries on a Google sheet, or even as new contacts in your Mailchimp list, ready to be triggered by an autoresponder campaign. Zapier connects over 900 web apps, so you can automate tasks and create workflows between your favorite tools. Instead of copying and pasting data, you can automatically send information from one business productivity tool to another. Reggie Nicolay is vice president of Marketing for Realtors Property Resource® (RPR®). For more information, please visit www.narrpr.com.